Carbon Arts generates and evaluates creative models for engaging society in imagining and shaping a more sustainable future. Straddling the arts, economics, science, and technology, our projects foster innovation and dialogue between disciplines and the public as a means to address contemporary environmental challenges. We do this through targeted and timely public art commissions, events, workshops, exhibitions and research. We work with forward-thinking governments, businesses, artists and designers to inject creative talent and thinking into decision-making and to reach broad audiences. “At the heart of my practice is the belief that creativity is essential in making the transition to a more sustainable society, and that the journey should be playful, fun and rewarding.” – Jodi Newcombe, Director Carbon Arts. 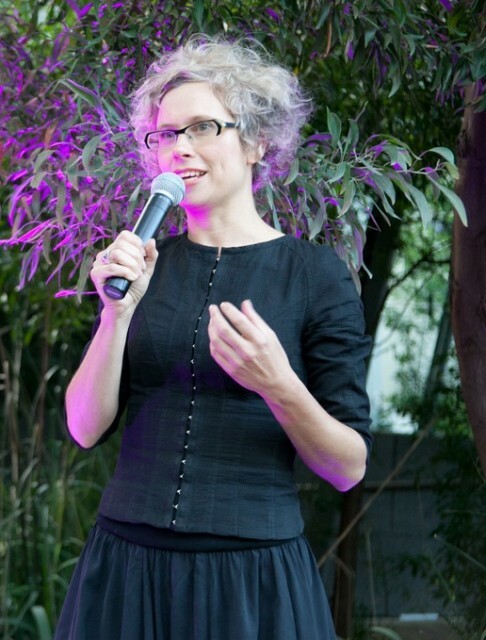 Jodi Newcombe founded Carbon Arts following an international career as an environmental economist and sustainability consultant. Her work on natural resource management and policy design, green technology and low-carbon urban design inform her work with the creative sector. Public art consulting; Cultural policy and strategy design and evaluation; Sustainability consulting to the creative sector; Curatorial services; Arts and events production; Facilitation, workshops and public speaking.